Hello! And welcome to the Bedbug Bible Gang Creation Celebration! It will be the party of a lifetime, and it's just getting started. You'll love to hear the stories of Creation, Dancing Clay and the Garden of Eden. Along the way there are songs to sing and games to play. So, get ready for a brand new world of fun, because the Bedbug Bible Gang Creation Celebration is about to begin! This delightful program combines 3-D computer animation with illustrations and live-action puppets. 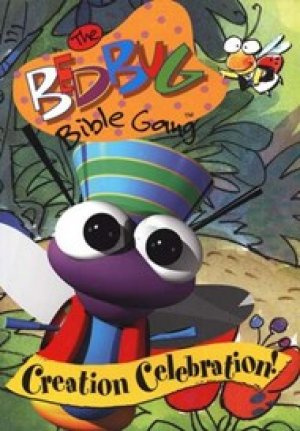 Bedbug Bible Gang: Creation Celebration DVD by Vision Video was published by Vision Video in June 2006 and is our 20038th best seller. The ISBN for Bedbug Bible Gang: Creation Celebration DVD is 727985009230. Be the first to review Bedbug Bible Gang: Creation Celebration DVD! Got a question? No problem! Just click here to ask us about Bedbug Bible Gang: Creation Celebration DVD.